The programme comprises a mix of keynote interventions from 4 speakers, and facilitated group discussions. The November 2016 event aims to establish context and refine focus. 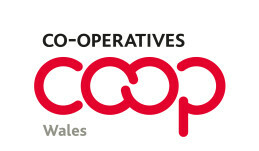 It will be followed by another in March 2017 with the objective of turning discussion outcomes into concrete actions and advancing the delivery and implementation of Co-operative Education in Wales. Venue information: Cartrefi Cymru Head Office, Unit 5 & 6 Coopers Yard, Curran Road, Cardiff, CF10 5NB. Access and parking information will be sent to attendees closer to the date.